Hosting conference means leaving an impression, naturally, you’d want that impression to be a positive and a good impression. That’s basically our role at Travel Design, the conference facilities in Marrakech are various and numerous, the real issue is picking the best ones and being able to perfectly manage a conference with all its utilities and necessities. Conference facilities in Marrakech are practical and luxurious at the same time, we’ve been in the business long enough to know which facility goes with which event or conference. 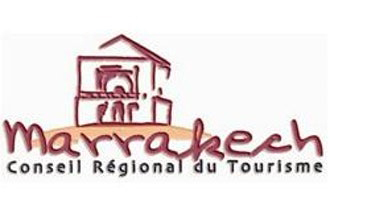 We hope that you’ll rely on us when choosing to have your conference in Marrakech. Doing our best and finding the ultimate venue and conference facility for your event or conference is our mission and we’re driven by your trust in us, the same goes for our leading partners who love having our trust. Setting you with the finest conference facilities in Marrakech, we guarantee that you’ll have a stellar success and that you will indeed leave a wonderful impression on all of your audience. And the city helps of course as the hotels are mostly top-tier companies that chose Marrakech one of their homes, and the reasons they did that are plenty. The conference facilities in Marrakech will definitely take your breath away and help you get your message passed on. Tasty food and luxurious halls that will be the perfect setting for your conference, you just have to take the initiative and decide that you’ll have your conference in one of the most beautiful cities on earth. Travel Design ensures cherry picking all of the venues for your conference and going with the very best in order to achieve total and a wonderful continuity. Using the latest technology will also have an additional value to your conference.